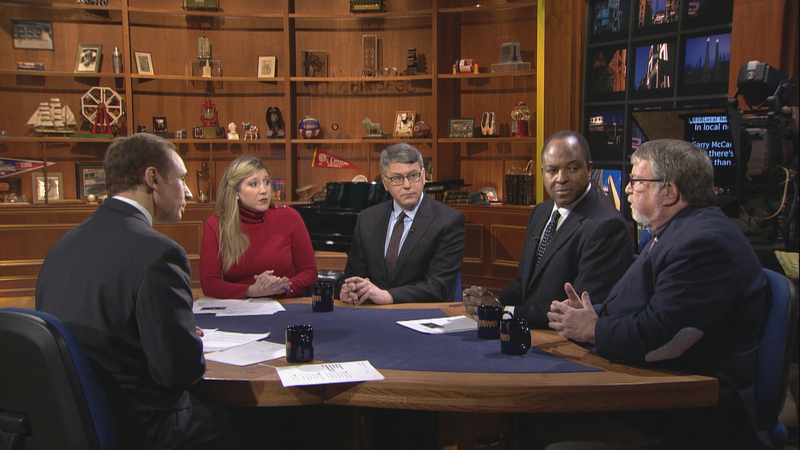 Former Chicago Police Superintendent Garry McCarthy says there’s a better than 50-50 chance he’ll run for mayor next year, but how much of a threat is he? Chicago’s police oversight agency recommends firing the officer who in December 2015 shot and killed a man having a mental health crisis and his neighbor. Illinois’ medical pot program proves sluggish as the U.S. Justice Department warns it will no longer go easy on states that legalize marijuana. Sears announces the closure of more than 100 stores around the U.S., including two in Chicago. And the Chicago Bears start interviewing head coach hopefuls after firing John Fox. ICYMI: Joel Weisman announces his retirement as host of “The Week in Review” after 40 years. The conversation continues in our web-extra video. This week, Arruza and guests discuss President Donald Trump’s spat with former adviser Steve Bannon and the people behind a new tell-all book on his administration, as well as his Twitter exchange with North Korean leader Kim Jong Un.